With class schedules expanding at gyms around the country and boutique fitness studios booming, it’s clear that people are flocking to group fitness classes—and with good reason. Group fitness classes offer the opportunity to experience movement in positive, memorable, and purposeful ways, inspiring meaningful change both physically and mentally. Here are the top five reasons people love group fitness classes, and why you will, too. One of the main reasons people are drawn to group fitness is the expert guidance they receive from certified instructors. An exceptional group fitness instructor is proficient in the art of creating enjoyable movement experiences that keep participants committed to their health and wellness journeys. There’s no guesswork when it comes to how to structure your workout session— the GFI has done the work for you. The fact that group fitness classes occur on a set day and time works wonders with creating structure around physical activity, even for people who struggle with workout consistency. As opposed to hoping you’ll make it to the gym at some point during the day, choosing a class to attend and signing up in advance creates a greater sense of accountability and enables you to plan your day around your workout (and your health!). The feeling of being part of something bigger and the camaraderie forged in group fitness classes is something that quite simply can’t be replicated. Group fitness classes exude positivity, and serve as a welcome invitation for people of all different ages, backgrounds, and ability levels to come together in one inclusive experience to move with passion and intention, all without judgement or expectation. If you find yourself stuck in a fitness rut, group fitness can be a perfect option for adding variety to your routine, while also ensuring a well-rounded approach to exercise. Do you dread the idea of running on a treadmill to get your cardio in? Try attending a dance-based fitness class to improve endurance while burning just as many, if not more, calories. Feeling uninspired to focus on your flexibility? Try a yoga class to improve your range of motion and enhance your movement quality. Hands down one of the most commonly cited reasons people choose to attend group fitness classes is because of the fun factor. Group fitness classes prove the old saying “no pain, no gain,” couldn’t be further from the truth. In fact, an effective workout can and should be a fun one, as the more enjoyment you experience during exercise; the more likely you are to stick with a regular routine of physical activity. We’ve launched an all new, world-class ACE Group Fitness Instructor Certification study experience. 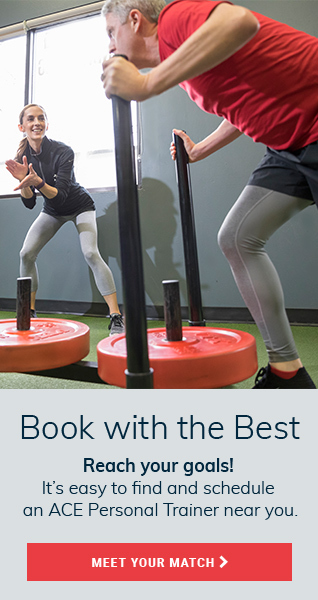 Featuring an interactive, digital learning component that takes you step-by-step through the fundamentals of group fitness—from exercise programming and music selection to engagement and motivation techniques—our study experience will empower you to make every class world-class. Learn more about it right here.